This is a Humber 5m assault rib . It had its tube strengthened at the bow and new hyperlon patches on the stern cones . 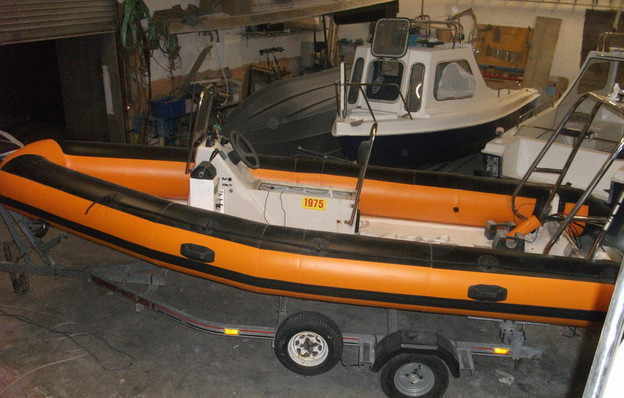 We undertook various gelcoat repairs and modifications to the boat . Electronics were set up to interact and repairs to the engine were also undertaken. The customer was extremely happy with the work . 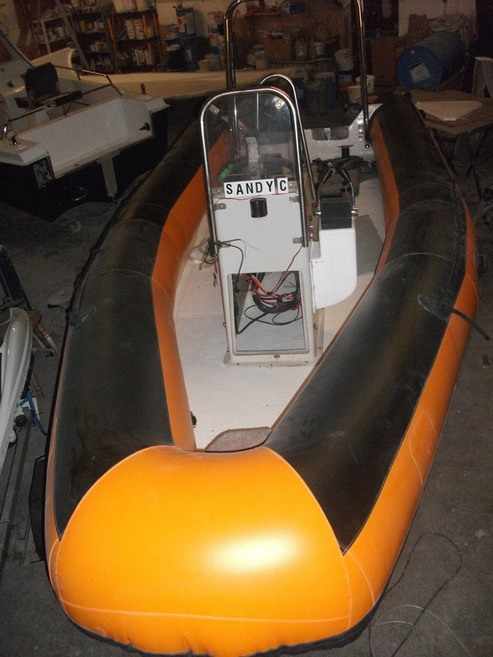 THE ORIGINAL PVC TUBES HAD BEEN ON THE BOAT FOR AT LEAST 10 YEARS AND WERE SHOWING THEIR AGE ! THEY WERE REMOVED AND WE STARTED RENOVATING THE BOAT AS PER INSTRUCTIONS. THIS VALIANT 525 CAME IN FOR RE-TUBING IN PVC. THE TUBES WERE SOURCED FROM GEMINI AS PER CUSTOMERS REQUIREMENTS. 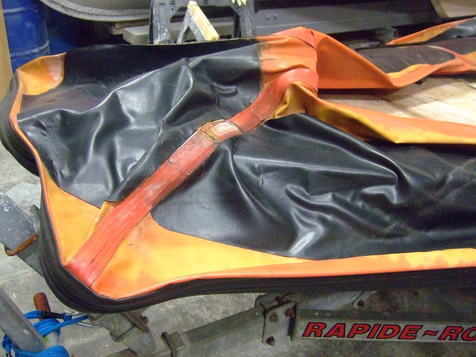 THESE TUBES ARE QUITE DIFFERENT IN THAT THEY HAVE INNER TUBES AND A STITCHED OUTER SKIN AS OPPOSED TO CONVENTIONAL GLUED JOINTS , WHICH IS A VERY PRACTICAL SOLUTION TO TUBE PROBLEMS. THEY FITTED ON QUITE NICELY ! THIS BOAT HAD A NEW MARINE PLY FLOOR FITTED AND FIBREGLASSED / GELCOATED, WHILE IT WAS AT OUR BOATYARD . THE OLD FLOOR CONSISTED OF 12MM STERLING BOARD WHICH HAD COMPLETELY BROKEN DOWN WITH ONLY THE FIBREGLASS ON TOP OF IT,IMPARTING ANY STRENGTH ! THE TWIN 40HP MARINER OUTBOARDS WERE RE-FITTED AND THE CUSTOMER HAD VIRTUALLY A BRAND NEW BOAT AFTER WORKS.